KATHMANDU, Nov 30: The government on Tuesday evening registered a seven-point constitution amendment bill at the parliament secretariat, proposing, among other things, to take all the hill districts out from Province 5. 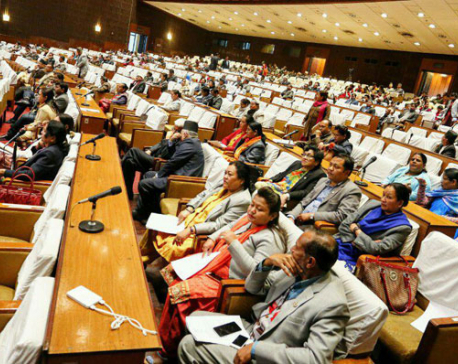 The amendment bill proposes to leave only six districts, namely Nawalparasi (west of Susta Bardaghat), Rupandehi, Kapilbastu, Dang, Banke and Bardiya in the province, taking out the six hill districts of Palpa, Arghakhanchi, Gulmi, Rukum, Rolpa and Pyuthan. A cabinet meeting held Tuesday evening also decided to form a High-Level Delineation Commission to settle all issues related to the delineation of provinces after making a comprehensive study of all past agreements and the reports submitted by various commissions. “The commission is entrusted with the responsibility of submitting a report with suggestions after holding talks with all the stakeholders on the basis of past agreements and the reports related to state restructuring,” Minister for Physical Infrastructures and Transportation Ramesh Lekhak told media persons after the cabinet meeting. The government's move comes amid strong objections from the main opposition party, CPN-UML, and the local populations in both the affected hill and tarai districts. 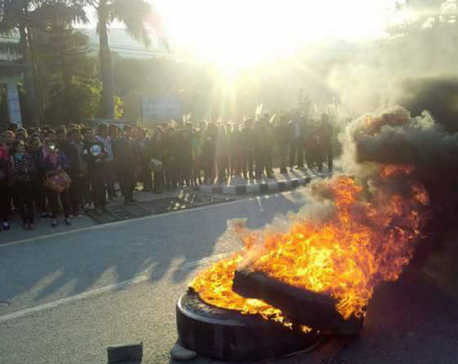 Locals have already started staging protests, demanding that Province 5 be left unchanged. Minister Lekhak argued that the delineation won't invite any dissatisfaction as it is something that was initially agreed between the then ruling parties NC and UML in November, 2014. The parties have registered the provincial delineation proposal in the spirit of the delineation agreed then. The constitution amendment bill requires at least a two-thirds majority vote in Parliament for endorsement. As the main opposition party UML has objected to the amendment and the agitating United Democratic Madhesi Front (UDMF) remains non-committal toward it, it is uncertain whether the bill will eventually get endorsed by Parliament. Besides proposing to bring changes in the provincial delineation, the seven-point amendment bill also proposes to revise the basis of representation in the upper house or national assembly. The amendment bill proposes to elect 35 of the total 56 members of the house on the basis of population, while ensuring at least three members each from all the provinces. 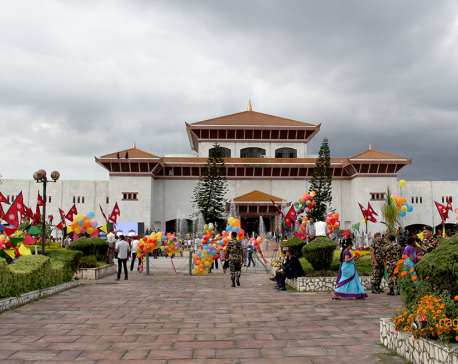 Earlier, the constitution had a provision for electing eight members each from all the provinces to the upper house. 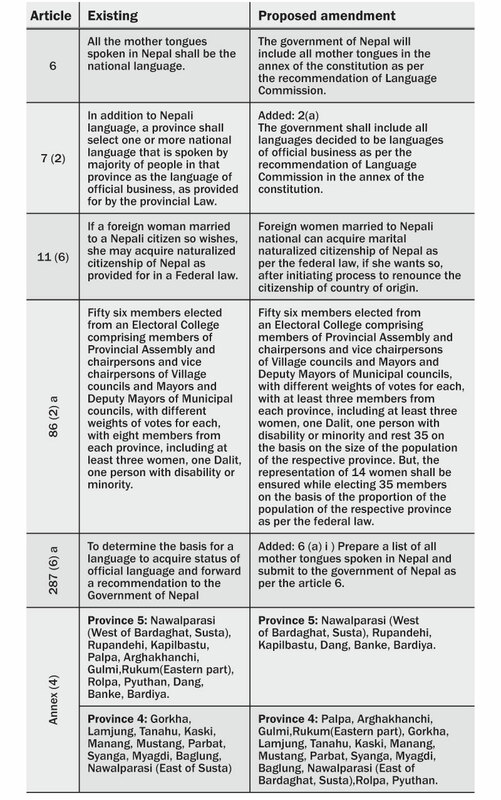 Likewise, in the case of marital naturalized citizenship, the amendment bill proposes to grant naturalized citizenship as per the federal law after the foreign woman married to a Nepali national initiates a process to renounce her citizenship of her country of origin. This is one of the major demands of the agitating Madhes-based parties. Similarly, the government has proposed to keep all languages said to be languages of official business by the Language Commission in the annex of the constitution. Earlier, the constitution had a provision to select one more national language that is spoken by a majority of people in the respective province as a language of official business provided by provincial law. Talking to Republica, Minister for Law, Justice and Parliamentary Affairs Ajaya Shanker Nayak said that the government will continue negotiations with the UML and the Madhes-based parties with a view to bringing them on board the amendment process. Minister Lekhak said the bill, once passed, will expand the acceptance of the constitution and drive the country toward fresh elections as envisioned by the constitution. “There is no point being dissatisfied with the amendment proposal. We urge all political parties dissatisfied with the amendment bill to support this proposal,” he said. KATHMANDU, Jan 7: The government is preparing to table the constitution amendment bill at the parliament meeting scheduled for Sunday.